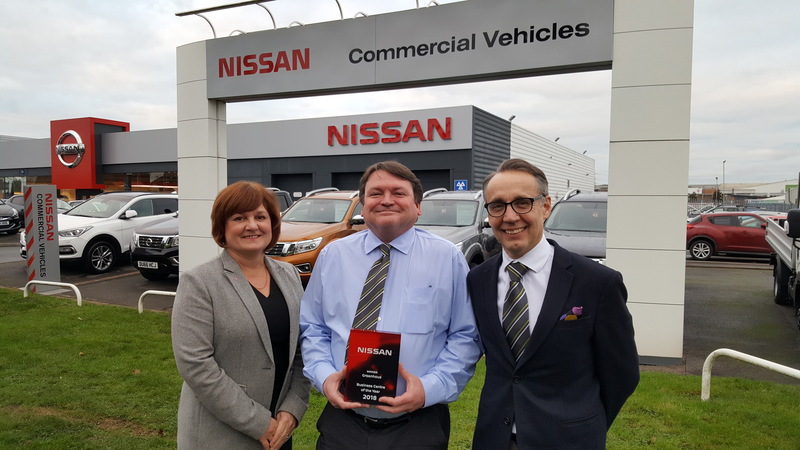 SENIOR staff at Greenhous Nissan in Shrewsbury are celebrating the award of Nissan ‘Business Centre of the Year 2018’. Neil Hancox, Greenhous Nissan Local Fleet Specialist, said: “The award is not just about sales levels. It reflects the attitude and customer service provided by the staff, the correct brand standards being followed and training progress. We have achieved targets through achieving natural business methods working directly with customers throughout Shropshire and Mid-Wales. 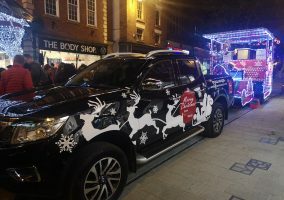 Greenhous Nissan were especially praised in the award comments for their excellent use of the Nissan Marketing System and assets to drive sales. Also on their high levels of natural sales versus their target. Greenhous Nissan had also exceeded their annual sales target. Julie Bates, General Manager, Greenhous Nissan, is delighted that Greenhous Nissan has been rewarded for the progress made with business development. 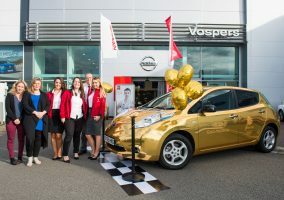 Julie commented: “It is uplifting for the staff to be recognised by Nissan for all of their hard work and dedication in producing a top level business operation. We have recently completely upgraded our showroom here in Shrewsbury and the modern facilities and practices we have put in place are much appreciated by our customers and staff alike. Celebrating the news that Greenhous Nissan has been named Nissan ‘Business Centre of the Year 2018’: (left to right) Julie Bates (General Manager), Neil Hancox (Local Fleet Specialist) and James Biggs (Sales Manager).